I was thinking: Maybe it’s easiest if you just bring me a gift card today, ya know. You could even send that with the post and don’t need to come by! 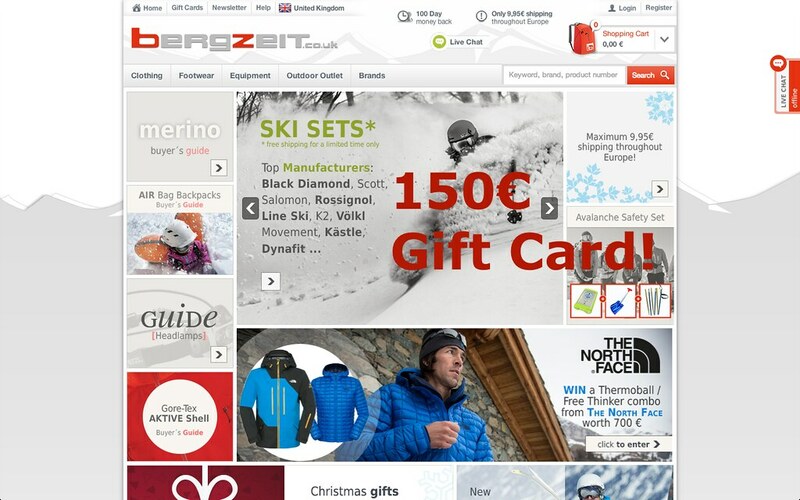 I reckon a 150€ gift card from Bergzeit.co.uk would be swell. That way I could get a new pair of Scarpa Boostic climbing shoes or a pair of warm Black Diamond Super Mittens, or even use it as a down-payment on a new ski set. And as delivery from Bergzeit is free to Austria, Switzerland and Germany or just 9,95€ to the rest of Europe, shipping isn’t too bad either. You see, a gift card would be a win-win for both of us!